Mouser Electronics, Inc., the authorized global distributor with the newest semiconductors and electronic components, is now offering the PSoC 6 BLE Pioneer Kit, which enables designers to begin innovating with the PSoC 6 microcontroller from Cypress Semiconductor. PSoC BLE 6 is the industry’s lowest power, most flexible microcontroller with built-in Bluetooth Low Energy wireless connectivity and integrated hardware-based security in a single device for Internet of Things (IoT) applications. The easy-to-use Cypress PSoC 6 BLE Pioneer Kit includes a 2.7-inch e-ink display shield, CapSense linear slider, proximity sensors, and touch buttons for intuitive operation. The kit includes Arduino Uno-compatible headers, an onboard Bluetooth antenna, and an onboard programmer/debugger. The kit offers a complete power solution, integrating a Cypress EZ-PD CCG3 Type-C port controller with power delivery and support for rechargeable lithium-polymer batteries, as well as a supercapacitor for backup power. 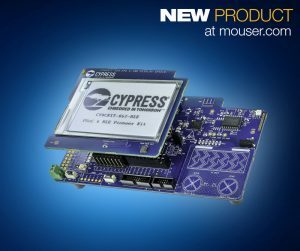 Cypress’ PSoC 6 microcontroller, available soon from Mouser Electronics, is built on a dual-core Arm Cortex-M4 and Cortex-M0+ architecture with 40nm process technology, optimized for power and performance. The device is bolstered by CapSense capacitive touch technology to support inventive next-generation user interfaces. 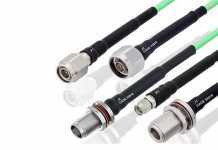 Software-defined analog and digital peripherals allow engineers to create custom analog-front-end (AFE) functions. The microcontroller also offers multiple wired and wireless connectivity options like USB and Bluetooth 5, supporting internet- and cloud-based services. Pricing flexibility and innovation, the PSoC 6 microcontroller facilitates the next generation of IoT application development with the PSoC Creato integrated development environment (IDE) and numerous ecosystem partners. To watch a webinar on using the PSoC 6 microcontroller to develop next-generation IoT applications, go to http://mou.sr/2gR4qIM. 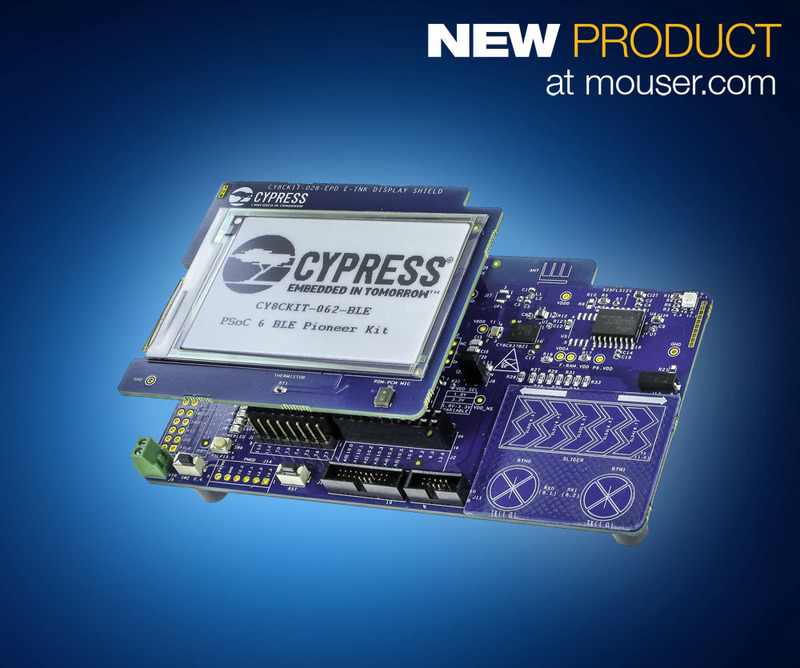 To learn more about the Cypress Semiconductor PSoC 6 microcontroller, go to http://www.mouser.com/new/Cypress-Semiconductor/cypress-psoc-6-soc/. For more information about the PSoC 6 BLE Pioneer Kit, visit http://www.mouser.com/new/Cypress-Semiconductor/cypress-psoc-6-cy8ckit-062-kit/.